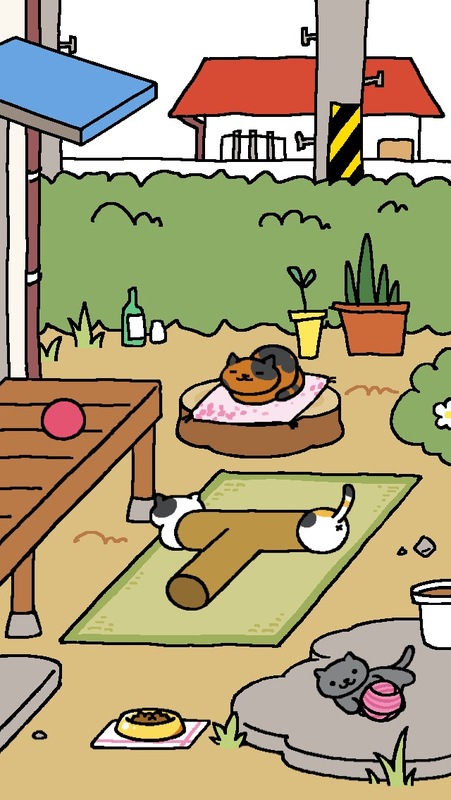 Let’s blame this extended gap on my Neko Atsume obsession. Sunday the 12th we watched the slight, but thoroughly enjoyable documentary about Carroll Spinney, the man who has played Big Bird for the entirety of the character’s existence. He has an understudy now who apparently works ~25% of the gigs, I guess. Poor guy has been the understudy for like 15 years, too. Yet he genuinely didn’t seem to be seething with hatred for Spinney, probably because Spinney is a genuinely nice guy, I guess. Work is busy busy, so most nights I get home & eat & have to catch up on all the nerding out I might otherwise have snuck in during the day. This week, after finishing that Charlie Stross novel, I couldn’t figure out what the next logical & compelling read was going to be for me, until I remembered that I had some comic books sitting on my hard drive from the last Humble Bundle I bought. I have dabbled in comics off & on in the past, typically almost entirely of the indie/underground variety. My bookshelves contain all the usual suspects: Watchmen, Maus, a bunch of Drawn & Quarterly & Fantagraphics stuff. But it’s only recently, with the introduction of a full-size tablet into the house, that I’ve delved into the world of reading comics issue by issue, on a weekly/monthly basis. So anyway, I had the complete run of Locke and Key just sitting around & I hadn’t even started reading it yet. That is emphatically no longer the case. The plot is kind of hard to explain — it involves three kids, a spooky house that has been in the family for generations, a whole bunch of supernatural keys, demonic possession, and high school. The artwork by Gabriel Rodriguez hits what is for me a sweet spot — thick lines, in a clearly “comic book” style, but rich & detailed backgrounds & color work. And the scripts — by suspense novelist Joe Hill — are complex without being convoluted. Wednesday we watched the Decline of Western Civilization Part II: The Metal Years. The thing about this movie that I had to keep reminding myself is that it’s not really “about” metal, or is at any rate much less about metal than the first one was about punk. The first one captured many of the bright lights of the LA punk scene in its prime, but Decline II hits the LA glam metal scene after it has already begun to be eclipsed, on the mainstream side by Guns N Roses (who don’t appear in the movie, but who sit in with Alice Cooper to cover “Under My Wheels under the closing credits), and on the True Metal side by Metallica, Slayer, and all their ever-more-extreme compatriots. The only thrash band who appear in the movie are Megadeth — was it because Dave Mustaine’s hair was poofy enough? Otherwise, there are the old pros (Kiss, Alice Cooper, Ozzy), the actual glam successes (Poison, mostly) and the also-rans (and never-really-starteds). The point is that it’s not a documentary about “metal” — it’s a documentary about fame: what it means to the people who have it, and what it means to the people who don’t have it but desperately wish that they did. In that, it succeeds wildly, which is to say it’s equal measures hilarious and profoundly depressing. Thursday I came down with a wicked sore throat, which lasted through the weekend & into Monday. By Sunday morning I was sufficiently worried about strep that I hauled myself over to the CVS on Hillsborough Rd to visit their Minute Clinic. I didn’t have strep. It was fascinating. The Physician’s Assistant who was singlehandedly running the place was a diminutive self-professed germophobe (as would I be, if I had to spend an average of 30 minutes per patient locked up in a windowless room half the size of my bedroom at home). She took the shorthand version of my medical history, did all the data entry, checked my vitals, swabbed me for strep, interpreted the test results, ran my insurance info, asked me what I do for exercise & gave a strong positive recommendation to a $30 hand or foot pedal contraption from Wal*Mart. Her bedside manner tended slightly to the neurotic, but she was smart, efficient, and genuinely concerned. It was clear that she’s well aware that the majority of her patients, unlike me, likely don’t have primary care physicians & probably have scattershot & uncoordinated interactions with the health care industry. She did her best to play all of those roles, and I salute her. Sunday night we watched Master and Commander: The Far Side of the World, which I had never seen. It absolutely lives up to its reputation for rip-snorting seafaring action. Even if you don’t believe you crave rip-snorting seafaring action, you more than likely actually do, and just don’t realize it, due in large part to the dearth of such in most movies made after the 1930s. It’s great. Rent it. In other news, since I’m going to the Afropunk Fest in Atlanta in October, I spent some time putting together a YouTube Playlist of all the artists.